Arkansas is located in the southern United States along the Mississippi River. Arkansas is known for its large parks and expansive wildlife areas, with mountains, caves, rivers and hot springs. Whether traveling for a luxury vacation, business, or special event, our private jet charter company can arrange a luxury jet to/from any travel destination in Arkansas and neighboring areas. Fly private using our Arkansas private jet charter service and arrive in style for your next trip! Fly privately into one of the following destinations within Arkansas. This list of destinations is based on Air Charter Advisors clientele requests, local attractions, and online reviews. Most of our clients choose Little Rock as their travel destination when planning a trip to Arkansas. 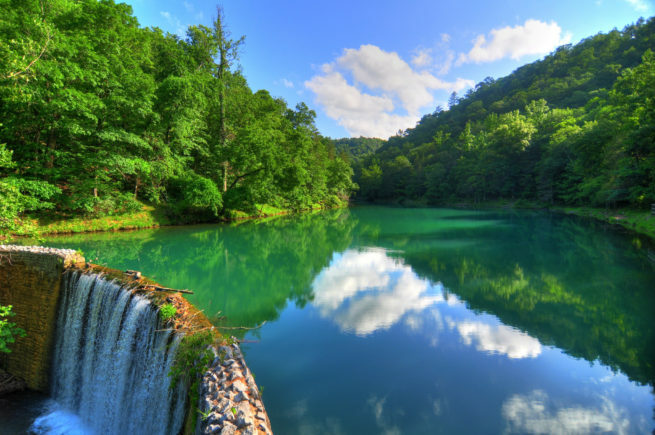 The rugged Ozarks are located in the northwest region of the state; there’s also plenty of hiking trails and limestone caves such as Blanchard Springs Caverns. The capital city of Little Rock is home to the Clinton Presidential Center, as well as Bill Clinton’s presidential archives. Request a Quote or give us a call at 1-888-987-5387 to speak with one of our Arkansas Private Jet Charter representatives for your next luxury vacation, business trip, or special event.